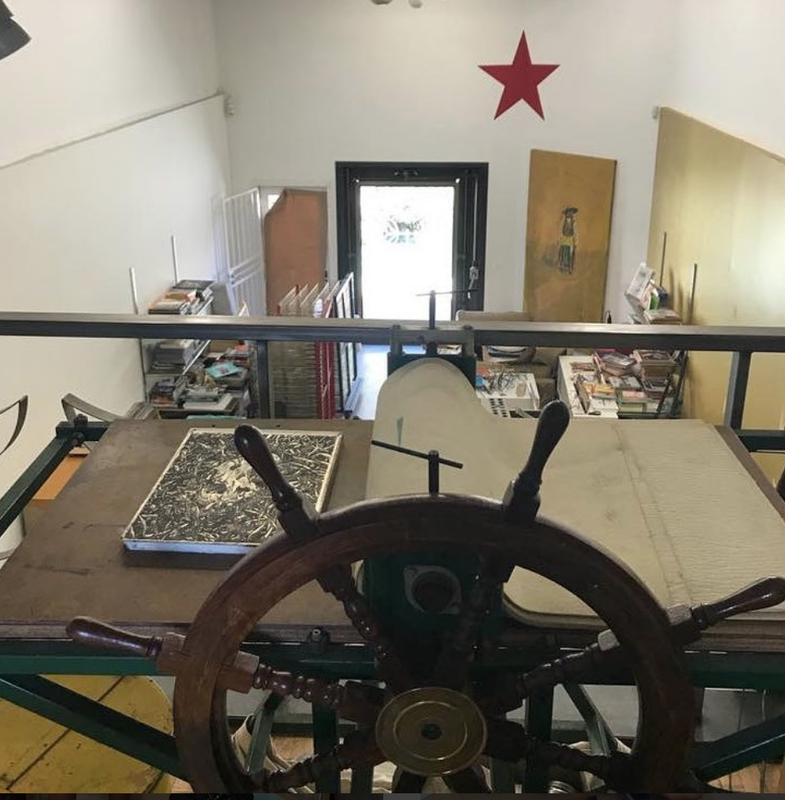 We currently have facilities for silkscreen printing, letterpress, risography, vinyl heat press, digital printing, etching and relief printing. Although we provide a variety services including letterpress, relief, and digital printing. Screen printing is our main business. Screen printing involves creating photographic stencils that are burned into a mesh screen, then using that stencil to apply layers of ink on a number of printed surfaces. Each color is applied using a different stencil, one at a time, combined to achieve the final look. Screen printing is the best option for designs that require a high level of vibrancy. Using water based inks on archival paper we create a high quality collectible in brighter TRUE colors. Check out some examples of screen printing projects we have done in the past. Though it looks on the outside like a copy machine, the Risograph is NOT a copier. It is a duplicator (think mimeograph) with a process like silk screening. The Riso was marketed for high volume and inexpensive duplicating. And to this day, it is mainly used by businesses, schools and churches who need production runs of 50 to 10,000 prints of the same thing. Because of Riso’s similarities to screen printing and the availability of 21 standard colors along with 50 custom colors, designers and artists have begun adapting these machines to produce beautiful and unique works. a print produced by the process of etching. the art or process of producing etched plates or objects.